Health and Wellness: welcoming, non-clinical settings for sexual health education and HIV/STI/pregnancy testing and counseling, mental health and substance use disorders treatment, and parenting skills of young parents. For over 50 years, the Latin American Youth Center has transformed the lives of low-income young people and their families. Their broad array of programs and services provides a valuable resource to NRS’ crisis services hotline so youth in the D.C. area can receive the support they need. 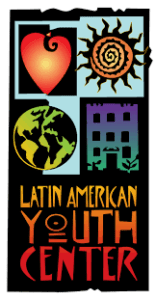 The Latin American Youth Center is one of nearly 7,000 resources in NRS’ database. Although 1-800-RUNAWAY and 1800RUNAWAY.org are available 24/7 for youth in crisis, the LAYC provides on-ground support to at-risk youth. NRS is proud to be a partner in their mission.